All talking with no point whatsoever. 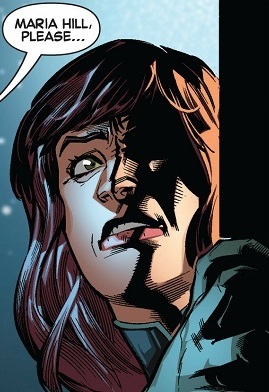 That was when I realized I was reading Bendis without having even looked at the tags. 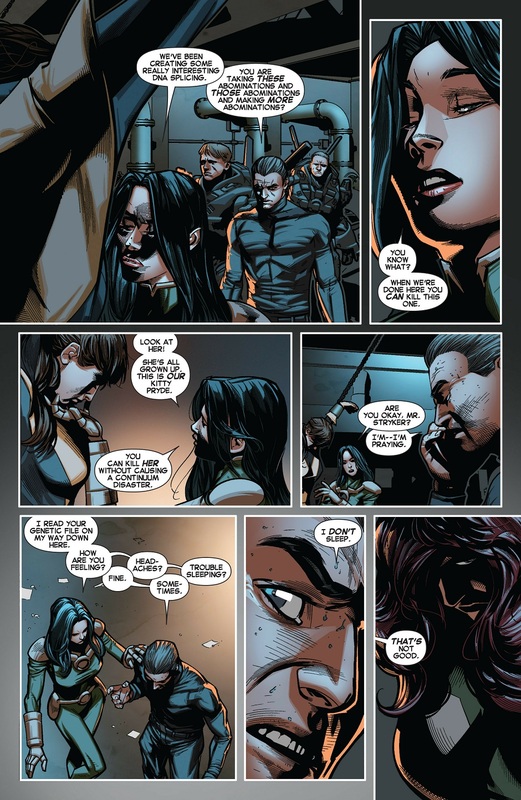 Pretty much sums up All-New X-Men, really. Does Bendis go to cons? Someone should strike up a conversation with him in the exact way he writes the characters speaking and see how long it takes until he throws up his hands and walks away. 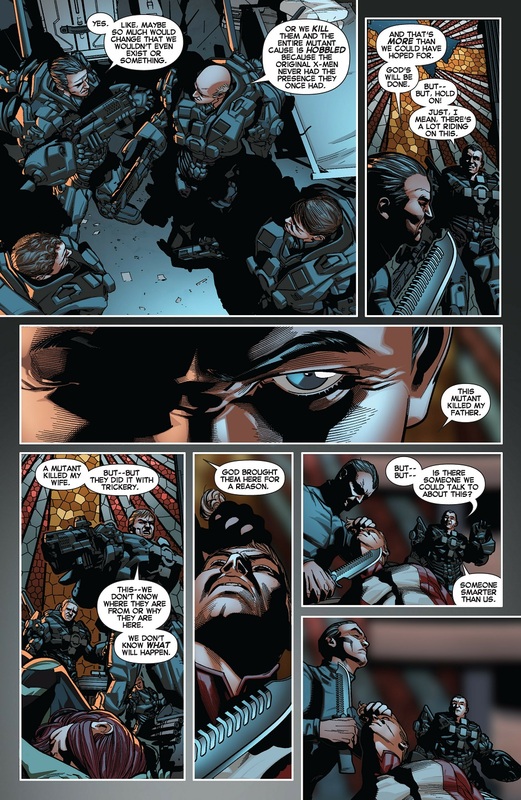 So William Stryker, the man who dedicated his life to murderising mutants, the man introduced murdering his wife just for giving birth to a mutant... had another son he just conveniently never mentioned or thought about at all. And for some reason A.I.M. are willing to help the Purifiers, because... because? I thing I just got dumber reading that gibberish. How the hell did that even get into a published comic? And they're getting mutant DNA from it which they will *totally* not wink wink use for anything the Purifiers disapprove of wink wink. 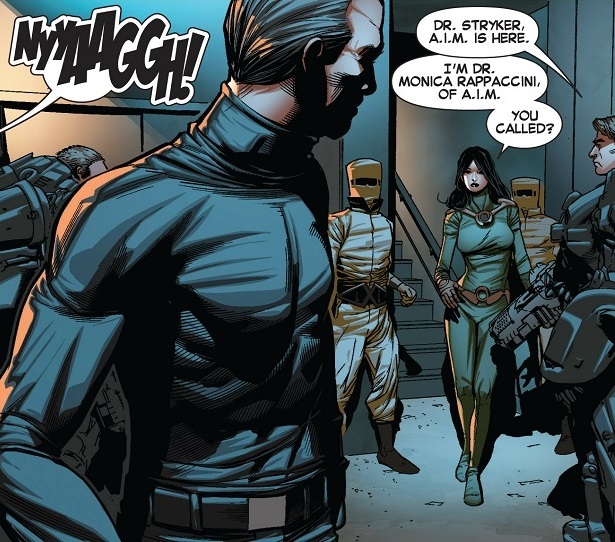 My initial reaction was, 'wait a minute, I didn't think Monica Rappaccini here would be anti-mutant/care about this,' but like you say, money, and Monica's introduction story was how her plan was to unleash a biochemical apocalypse to which only her generically engineered 'Wakers' (plus some people in special AIM shelters, I think) could survive. 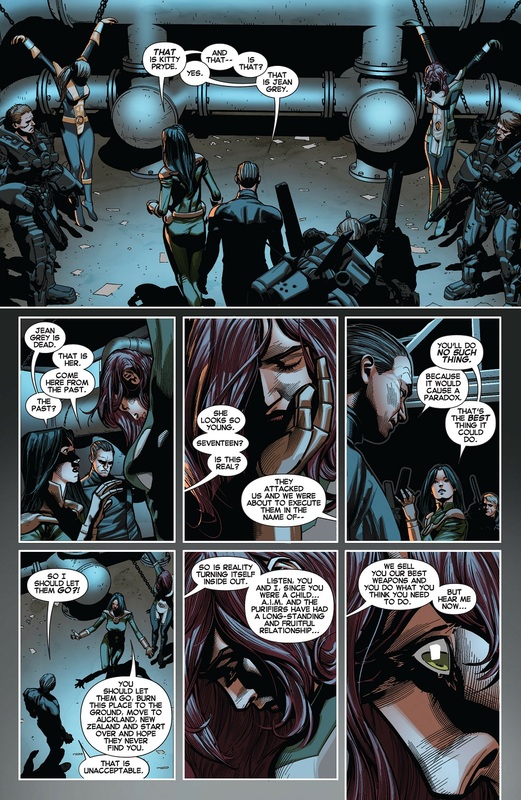 She's kinda Ra's Al Ghul-ish. 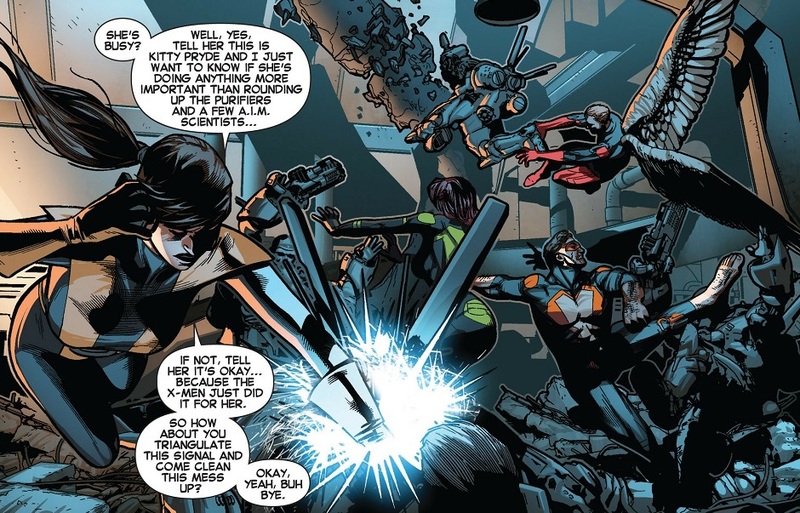 I doubt she is anti-mutant in ideology but is perfectly willing to work with anti-mutants because, hey, doesn't matter who wins that fight if she wins in the end, right? 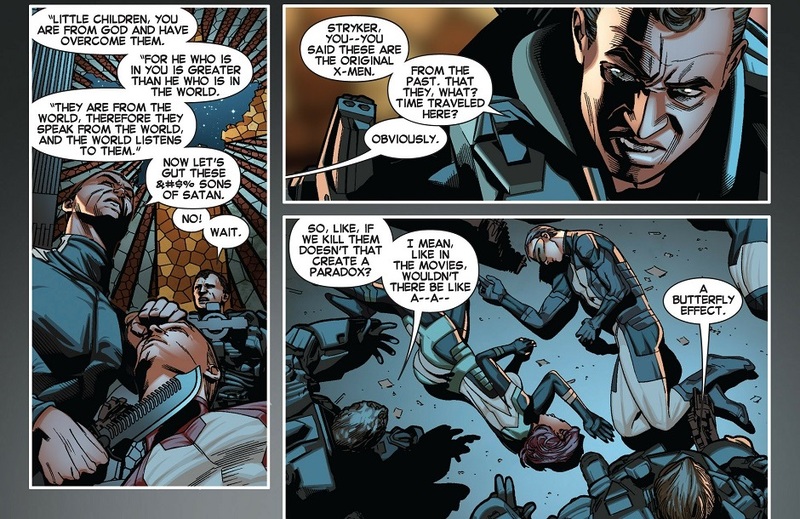 you can see in her dialogue that she really isn't anti-mutant in the focused 'exterminate them' sense like the purifiers... she just doesn't care if they live or die. Yep. She just doesn't really care about this conflict. Religious maniacs pause for a moment in the execution of their zealotry to wonder if there's someone smarter than them to validate their course of action? Yeah. Religious fanatics and science fanatics? You'd expect those two to get along about as well as water and an exploding oil refinery. For enough money, AIM have dealt with Nazi's. A few non-judgemental words to a bunch of pseudo-religious whackjobs aren't going to cause them to lose any sleep. AIM's a splinter group of a splinter group of Nazis, so they've kinda got a grandfather clause. And it's not really an ethics issue, just totally opposing world views. 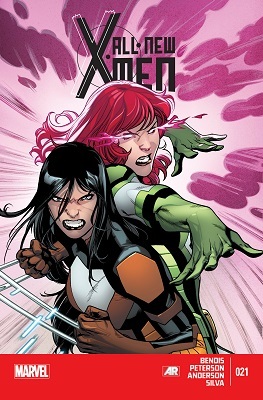 ignoring the fact that Bendis was really out here running several X-men books with no sense of actual plot or manifesto, I really enjoyed how the characters in these scans talked to each other with a real sense of continuity and longevity. Honestly, I really like about three-quarters of this. 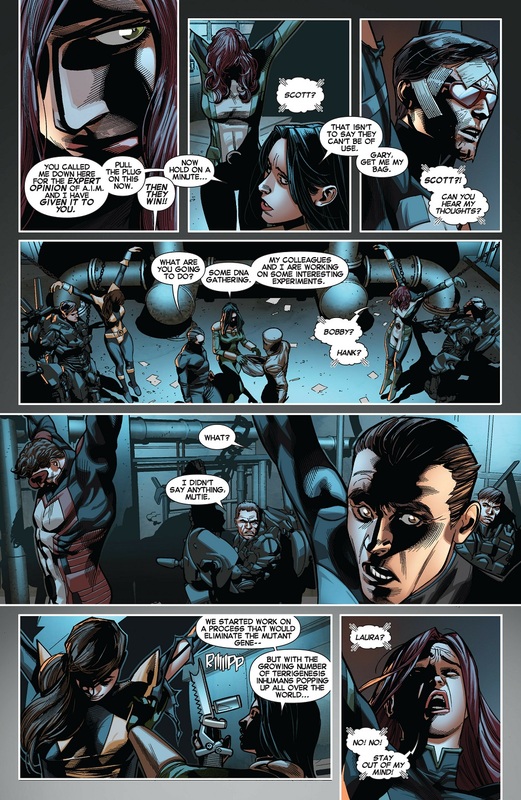 Incidental villains SHOULD be able to "break type" and be concerned about things other than their primary objective, yet still related to it... after all, break the timestream and everyone loses, even human supremacists. Then things get really interesting and unpredictable with these two groups. 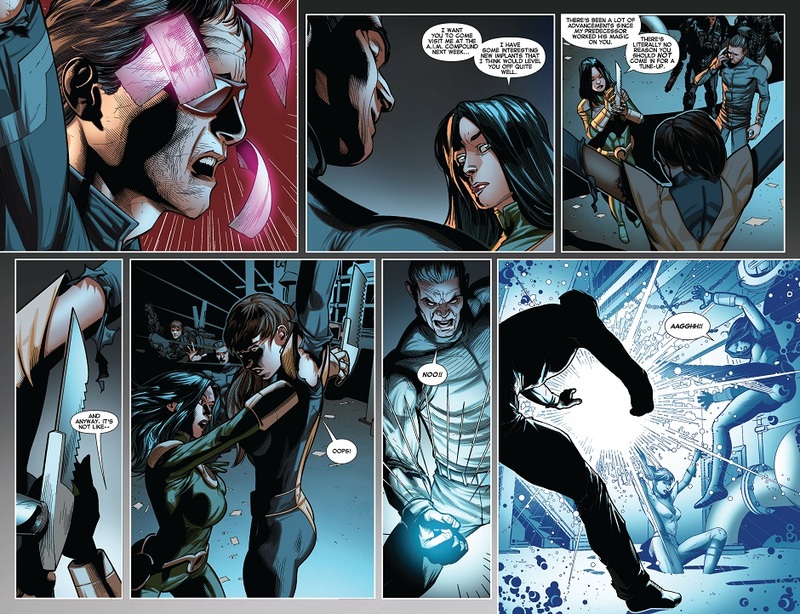 Sure, it makes the X-Men kind of guest stars in their own feature, but the character development is going nuts and it really looks like it's going somewhere different-- and then the heroes escape and oops, nope, back to business as usual.